This is a no-brainer. Everyone wears clothes to work so why not brand them with your company look? 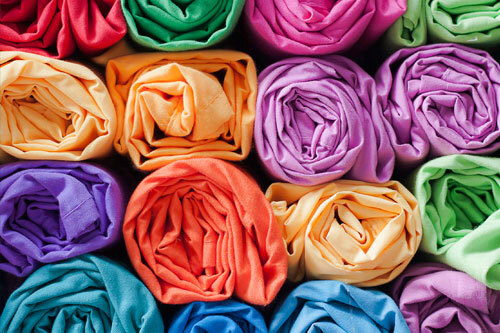 High-end polos for a trade show or t-shirts for your casual company get together, the options are endless. With literally thousands of options, contact our team to help narrow down the best look for you! Did we mention we can screen print with scented ink? 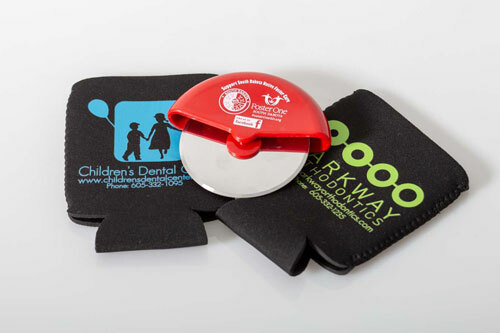 Promotional items are the gift that keeps on marketing. These tangible items stay in front of your audience constantly reminding them of who you are as a company. We offer a wide variety (over 800,000 to be exact) of products to promote your brand and can put your logo on almost anything – even people with temporary tattoos.